How FIJA Saved My Life! 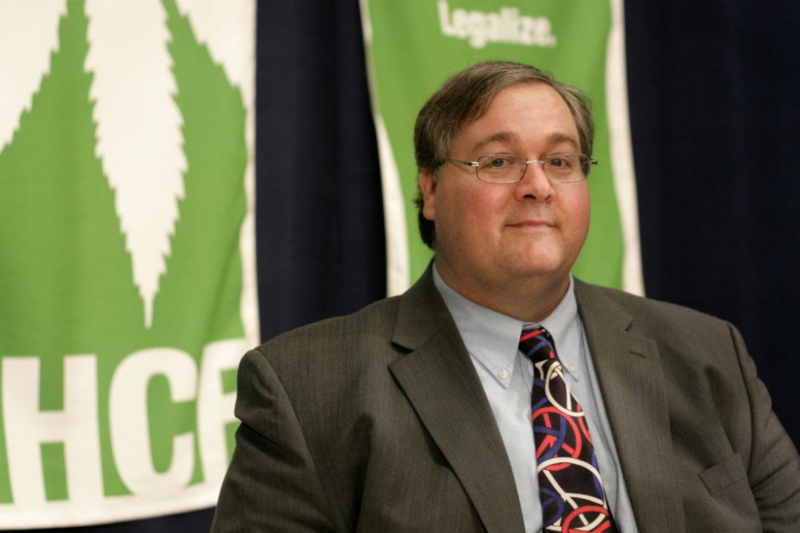 Paul Stanford has been working to end marijuana and hemp prohibition for over 30 years. Paul first attended a protest for marijuana legalization at the White House in Washington, DC a week after his 18th birthday in 1978. In 1984, Paul was instrumental in a now-famous Oregon political ballot initiative called the Oregon Marijuana Initiative (OMI), which made the ballot and lost, but became the template for his later efforts. Paul even helped Jack Herer research and write the first edition of The Emperor Wears No Clothes in 1985 in Portland. Paul Stanford is an expert court witness on marijuana and medicinal cannabis. He has produced and hosted over 700 episodes of live TV programs for his Cannabis Common Sense TV show, which continues today and is on cable TV and the Internet through YouTube. He has also produced and announced radio shows and advertising. He is an author of articles published in many magazines and books. THCF prints a newspaper, Hemp News, which has also been on-line since 1991 and is the oldest online publication still operating today. THCF has an on-line museum of antique medical cannabis bottles and containers. Since 1999, Paul Stanford’s current business The Hemp and Cannabis Foundation has operated medical clinics in 12 states helping patients obtain their state’s medical marijuana permits. THCF has helped over 250,000 patients to date and growing. THCF also produces Paul’s live weekly TV show, Cannabis Common Sense. THCF Medicinal Gardens in Oregon has won many awards for their medicine’s quality. Paul produces the yearly HempStalk festival in Portland, Oregon and his company (THCF) is always one of the main sponsors for the Seattle Hempfest. Another one of Paul Stanford’s businesses, which was founded over 25 years ago is the Campaign for the Restoration and Regulation of Hemp (CRRH). CRRH is a federally registered political committee, a 501c4 under IRS rules. CRRH is working to end adult marijuana prohibition and to restore industrial hemp to a prominent role in the world’s economy. CRRH placed Oregon’s Measure 80 to legalize hemp and cannabis on the ballot in 2012, which obtained 47% of the Oregon vote on Nov. 6, 2012, and continues the political work for global cannabis freedom. Paul Stanford continues his political activism today working on multiple fronts and continuing to write, work on and finance legalization petitions in Oregon and other states. He continues to be a leader in legalizing marijuana and hemp in the USA, and supporting global cannabis freedom. He is considered one of the most well known and high profile hemp and cannabis activists in the country, appearing in hundreds of print publications and news stories. If anyone had told me a week before that I would be in a sheriff’s car handcuffed with a nun, on the way to jail, I probably would have told them they were crazy. But here it was really happening. I had just been busted for laying in front of an armored train that we believe was carrying over one hundred hydrogen bomb warheads to America’s newest nuclear nightmare, the Trident submarines. READ MORE…..